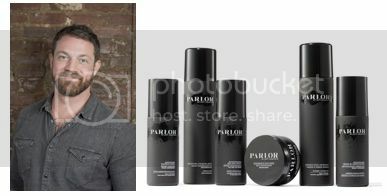 I am so excited to share a brand-new launch for you on Birchbox.com: The PARLOR Hair Collection by Jeff Chastain! The PARLOR launch collection, available now on Birchbox.com, consists of four unisex products: Moisturizing Sea Salt Spray, Smoothing Blow Out Spray, Detangling Leave-In Conditioner and Reworkable Hold Paste. Two additional products – the Texturizing Finishing Spray and Flexible Hold Spray – will launch on Birchbox.com in May 2015. The fragrance of these products is addictive: ripe peach, fresh cut grass, and white woods. The packaging has a luxe high end design and unisex appeal: with its soft-touch finish and sleek black design with white lettering. From this Collection, my Husband and I tried out the Detangling Leave-In Conditioner and the Reworkable Hold Paste. Detangling Leave In Conditioner: ($24.00): This product is the perfect detangler combined with thermal protection in the form of a leave-in conditioner. I am a huge fan of using leave-in conditioners! I spray this generously in my hair after I wash, condition, and towel dry my long hair. This product has such an amazing fresh scent! It helps me comb out my hair with ease and leaves my hair shiny and managable. Plus, I love that it provides thermal protection as well. I always blow dry my hair with a round brush and I feel that this product leaves my hair nicely protected! Reworkable Hold Paste: ($24.00): This product combines the softness and flexibility of a styling cream with the definition of a paste. My husband has super thick and wavy hair. This Reworkable Hold Paste gives his waves definition and hold without being overly thick or sticky. My Husband likes it because it is all he needs to use for his hair. He just applies a bit after washing and conditioning and works it through his hair. 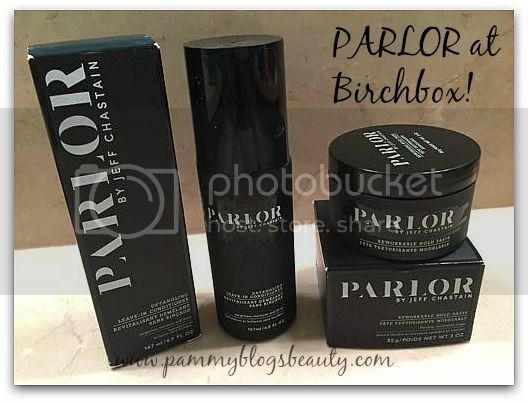 Both my Husband and myself are already fans of this new Birchbox-launched PARLOR Hair Collection! I can't wait to explore this line further!!! I would especially like to try the Sea Salt Spray and the Smoothing Blowout Spray! Has anyone tried these? I would love to hear what you think!